"Carbon Farming" Vs. "Wild Carbon Picking"
"Carbon Farming" activity of growing crops specifically for biofuels or for the purpose of carbon sequestration. This usually means removing the current ecosystem and replacing it with monoculture which means loss of diversity. 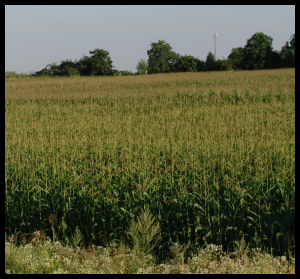 Most crops are also usually intended as biofuels (carbon neutral). "Wild Carbon Picking" is like berry picking or apple picking where your are not harvesting the trees but only the fruit. Leaves and Grasses are huge crops that can be processed into biochar that has high water retention properties to increase the quality of the poorest soils increasing their productivity and value. Carbon Credits for putting carbon back in the ground to mitigate and remediate at the same time. • Increases Food Security, Climate Affluence. quality of drinking Water (toxins). • Blooms cause Dead Zones killing fish. • Farmers: more Yield for their fertilizer investment. Bacteria produce 50-to-100 times more CO2 than Humans. Making Biochar from biomass that would decay quickly, can avoid emissions and store huge amounts of carbon. Biochar is an amazing agricultural amendment that holds water, minerals, increases yields, and even renders semi-arid soil fertile reclaiming land from soil erosion. "Terra Preta" as the indigenous in villages of South America call biochar. They find it in mounds that were created in the pre-columbian era, and put it in their gardens to improve their yields.